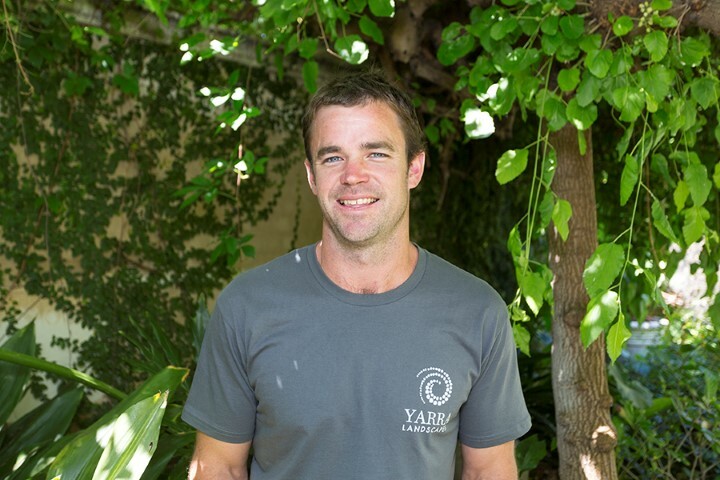 Pete McVerry is the owner and head landscape designer at Yarra Landscapes in Melbourne. His passion is creating unique and sustainable spaces for people to enjoy, and he particularly enjoys making sure that the landscapes he designs and builds outside blend and flow well with the interior design of your home or office. Pete has over 10 years experience, backed up by a Bachelor of Science - Environmental Science (majoring in ecology and botany) and a Grad.Dip. in Landscape Design. He formed Yarra Landscaps in 2008. Pete's approach is open and friendly, and he makes sure he takes the time at the start of each project to understand what his customer wants. This includes identifying the budget early on so he can be sure to come up with a realistic solution. As a strong project manager, Pete is able to take control of your job from day one. His attention to detail means that your project stays on time and on budget (weather permitting!). He works well with both builders and interior designers, and retains a strong focus on achieving the outcome you want for your home or commercial property.